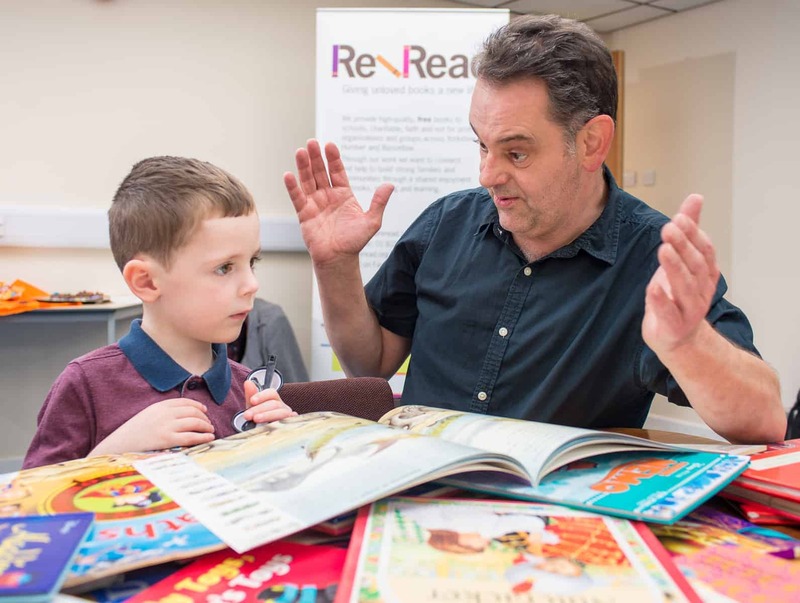 Cause UK is supporting a radical Social Enterprise which is tackling child poverty and falling literacy rates by giving away free books to children in Yorkshire’s most deprived regions. Cause UK asked actor Brian Blessed and bestselling author Joanne Harris to become Patrons of the Doncaster-based Re-Read and has arranged for the BBC to film at the project. The enterprise is based in the former coal mining community; 22% of Doncaster children currently live below the bread-line. Re-Read was founded by Jim McLaughlin in 2012. After spending 20 years developing community recycling projects across the UK, Jim was inspired after passing a book dealer with a 10 tonne skip full of discarded books destined for incineration. Re-Read recycles books which otherwise would have been burned or gone to landfill. The social enterprise sells over 60,000 recycled books online and has customers all over the world, profits from trade allows Re-Read to put much needed books for free into the hands of low income families, donating 53,000 children’s books to date.